The day is upon us when it is time to pick up that farm raised turkey or stop by the local grocery market and grab that bird for dinner on Thursday Thanksgiving Celebration. 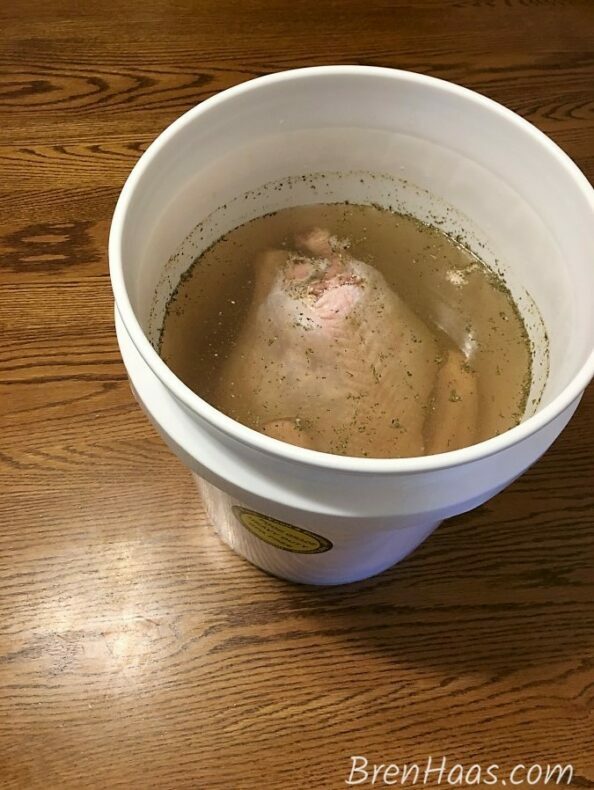 In this post, I share tips on how to brine a Thanksgiving Turkey. It really is simple to put together for that special bird. The brine will make your poultry juicy with a little day before preparation. Some people add more herbs to their mix but I like to do that when I roast the poultry after the brining process. Below is a simple brine recipe you can print and use in your kitchen cookbook. This brine makes enough for a 18 to 20 pound turkey. At least 24 hours but no more than 36 hours before cooking turkey, bring 1 quart water, the salt, bay leaves, and spices to a simmer, stirring until salt has dissolved. Let cool for 5 minutes. Line a 5-gallon container with large oven roasting bag. Place turkey in the bag that is in the prepared container. Add salt mixture, remaining 6 quarts (24 cups) water, and the other ingredients. Tie bag; if turkey is not submerged, weight it with a plate. Remove turkey from brine one hour before you're ready to roast or smoke. Be sure to pat dry. Be sure to check out my roasting turkey recipe. 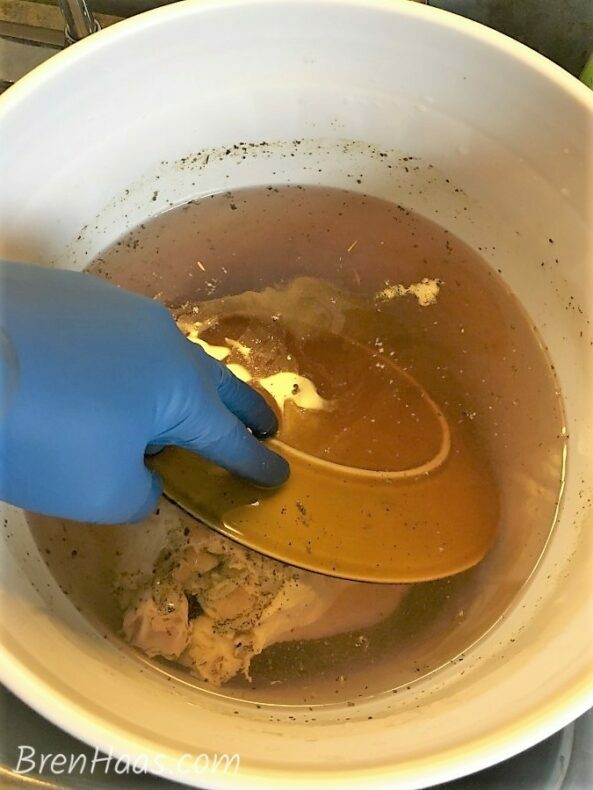 Below are photos of the clean 20-pound turkey being submerged in the brine recipe featured on this post. When picking the right container for this process before to look for food grade approved bucket. This should have the FDA approval like on 5-gallon bucket in these photos. My brother purchased this bucket at Lowes for $5. I also found approved buckets on Amazon. If you use the food grade bucket I still recommend using the turkey brine bag mentioned in the recipe above. I like the bag because it is an easy cleanup. I ordered brine bag and spice kit so I could put the turkey in my refrigerator. I’ll post a review on this post as time allows. You all know I love to be social. Be sure to share this post by clicking the social share buttons on this page. You will also find this post over on Pinterest using the link below. I can’t wait to get my turkey going – how about you? Are you going to try brine method for your turkey this year? I’d love to hear from you so be sure to comment on this post. Your feedback means the world to me so be sure to click over to my contact page and tell me how you really feel.